A party at your office! 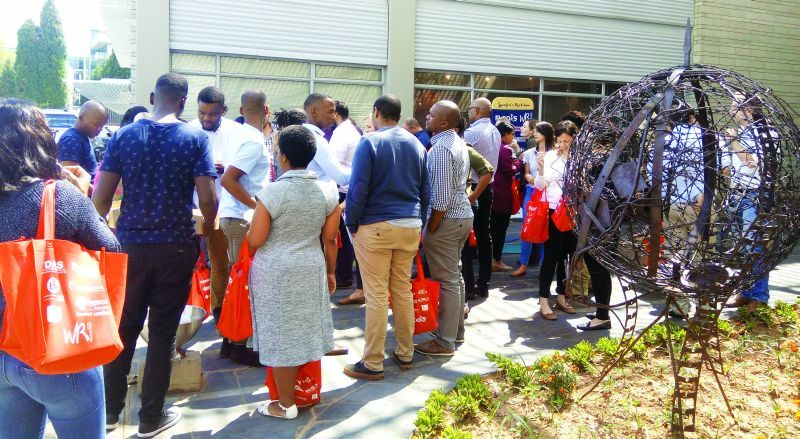 Media in Africa’s WALLS & ROOFS in Africa and FLOORS in Africa magazines have kicked off their yearly roadshow with a short trip to Johannesburg, making pit stops at five architecture and design firms, as well as surprising design students at the Greenside Design Centre. 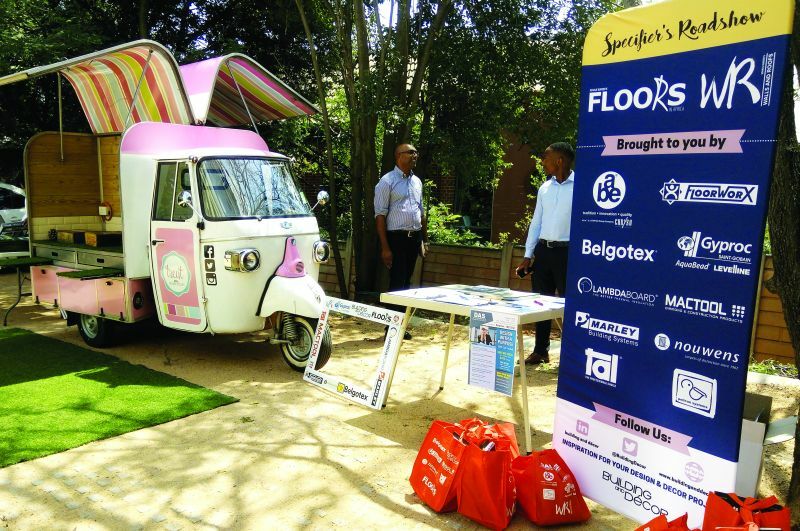 As is tradition, the media team didn’t show up empty-handed, and this time took frozen yoghurt cups from Treat together with goody bags filled with gifts and valuable product information that comes in handy when specifying materials and products for building projects. 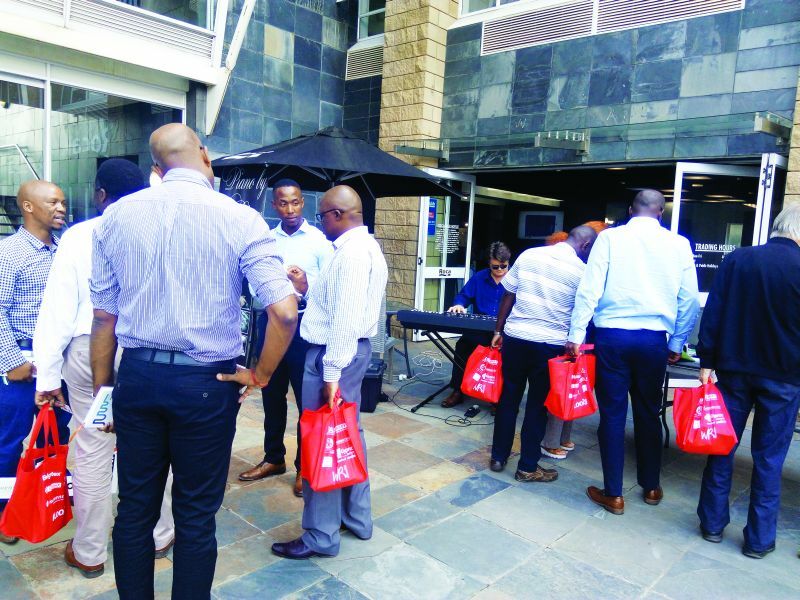 Another surprise was the musician, Riaan Eloff, who provided live entertainment and a cheerful vibe on what would otherwise have been a normal day at the office. 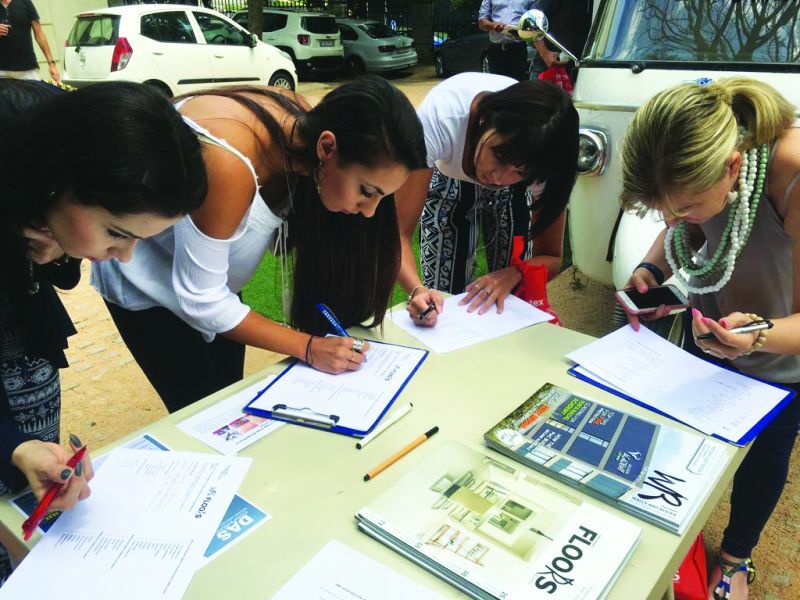 Architects and designers also had the opportunity to complete our online survey and stand a chance to win a R10 000 voucher from DreamWeaver Studios. The crowd outside Paragon Architects. • Kim h Interior Design. The reception at each of these firms was phenomenal, with huge numbers of people joining in the activities on their doorsteps. Apart from being great fun, these roadshows give the two magazines an opportunity to meet and engage with our readers on a personal level. Riaan Eloff showed off his finger talent on the piano. If your firm would like a visit from WALLS & ROOFS in Africa and FLOORS in Africa in 2018, tweet us @BuildingDecor or phone us on 012 347 7530. Caption main image: Goodie bags filled with gifts and valuable product information. Architects and designers were spoiled with frozen yoghurt from Treat.